Well that’s one way to start an episode. 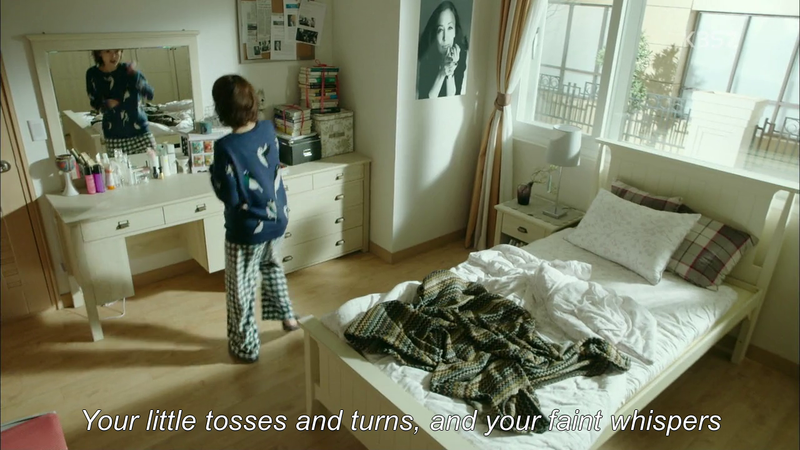 The dream sequence that kicks of episode 3 is handled brilliantly in comparison to all others in Kdramaland. Most shows have a tendency to make dreams or nightmare nothing more than flashbacks to poignant or horrifying events in a lead’s past, this show does the opposite. Yet this dream, or nightmare rather, hits all the right notes and is firmly grounded in a realistic approach to what people actually sense when they dream. And the effect was rather frightening, truth be told. From the sudden blanket toss and eerie scene shift to the abrupt transition from child to schoolboy., to the road dissolving into quicksand. How many times have we experienced the same thing? 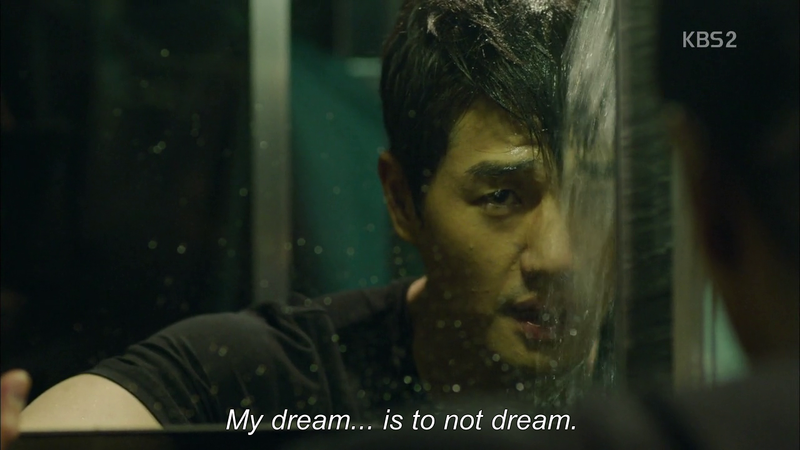 Running in dreams is a rather strange set of motions. You seem to be expending your best effort, but you’re never going anywhere (or going fast enough to get to/escape from whatever lies in the world you enter at night) and this show captures that perfectly. It makes it all the more easier to sympathize with KMH’s wish for a dreamless sleep while provoking curiosity as to what the hell lies behind those fragments we saw, and what sin he committed from these recurring nightmares to plague him so. Whoa, Healer you really have no fear. I cannot believe just how blatantly he was running around CYS’s home. I mean look at this. Is he lucky, or just insane? Your guess is as good as mine. I’m not sure just what the purpose is off bugging every corner of Yeong Shin’s house, but hey, whatever the client wants right? Yeong Shin’s father does not appear to have been told of the physical abuse she suffered at an early age. I wonder why she’s keeping it to herself. It’s rather odd seeing how warm the environment she’s grown up is. Surely letting them known wouldn’t be an issue? But I’m more curious as to why she can’t sleep if not alone. It’s a rather odd quirk to have, plus she does seem picky about her living space, so I’m going to chalk it up as the result of some event in her life, rather than sheer habit. Though I suppose it could be a combination of both. 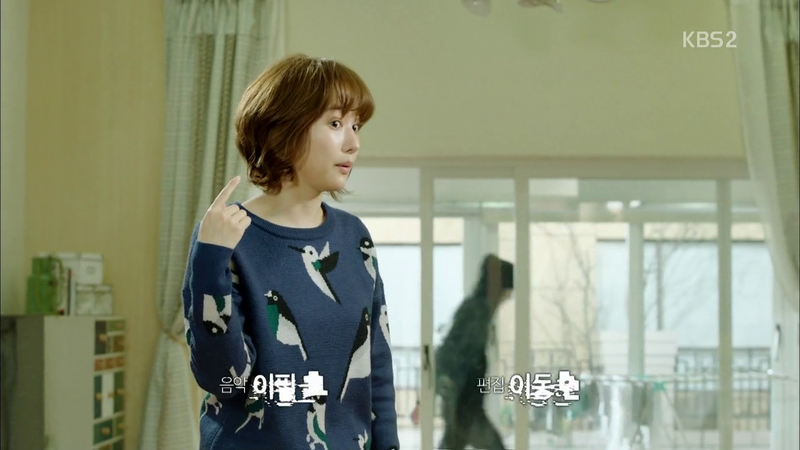 Kdramaland’s first germaphobe heroine? We hit comedic gold once again with that rendition of DBSK’s Hug. 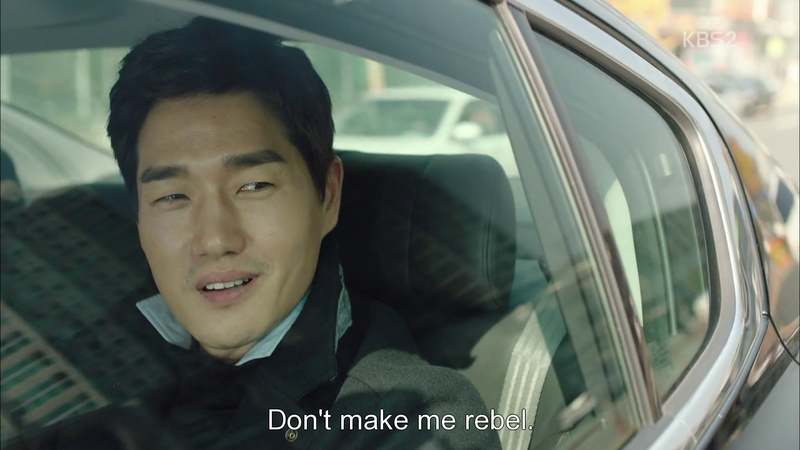 Seeing Yeong Shin change definitely did give him pause for an instant. 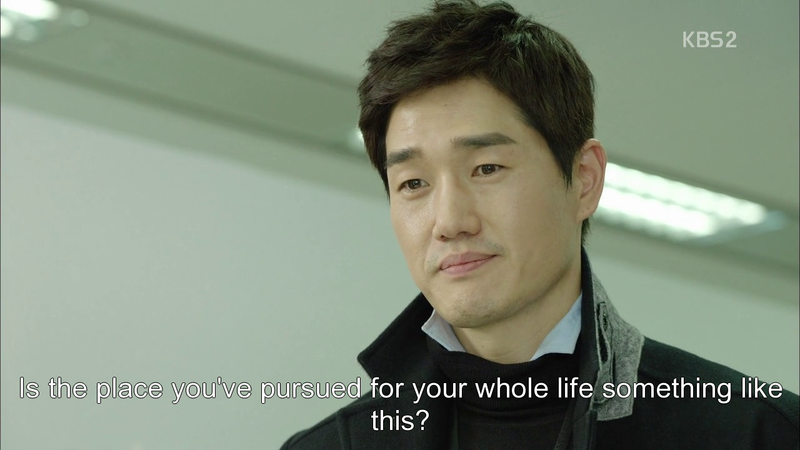 Hello there human reaction, it’s nice to see some from Healer who does come off as a bit super-human sometimes. 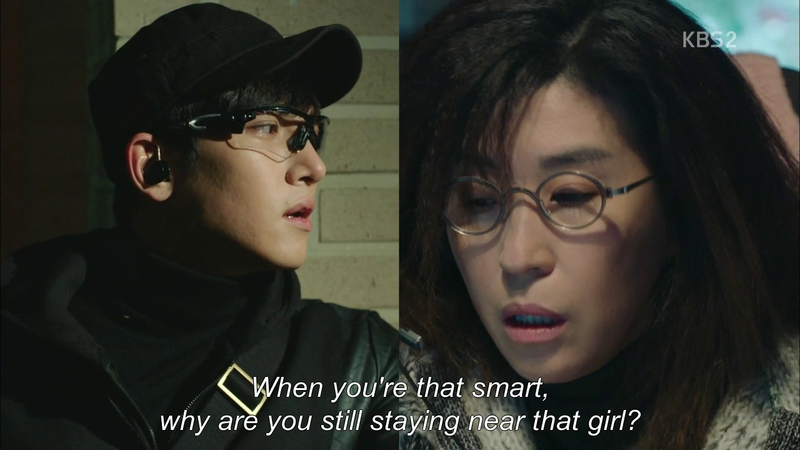 Healer’s reactions are as entertaining as always I’d have thought that Healer would enjoy getting a girl’s pants unintentionally thrown into his face but he doesn’t exactly appear to consider Yeong Shin as a woman (which makes it all the more fun when because we know that he will, unless KMH the babe gets there first, that is). Speaking of which, this is show is driving me nuts (in a good way of course) with all the teasing it does. Given the essential confirmation that Ji Han is Yeong Shin, and is quite alive, I’m honestly so eager to see what sort of event separated her from her mother and why it was that KMH hasn’t said anything yet. That appears to be the sin of silence he’s referring to, and boy is it a big one. Not tell your sister-in-law/mother figure/I don’t really know that her daughter is still alive, while having attended her death anniversary dinner for so many years, is not something that a simple apology will smooth over. And why the hell you’d do that in the first place is beyond me. He’s only doing watching CYS for now, with his mind firmly rooted in the past so I can’t say anything as to his motivations but hopefully he doesn’t wallow any further, I’m tired of that hospital scene. Speaking of which, another interesting thing this show does is conceal parts of these flashbacks from our view. We returned to that hospital scene thrice in this episode, and each time something new was added. It’s a good tactic for creating suspense, but one that feels like it’ll wear thin after a while. Don’t go there show, don’t go there. 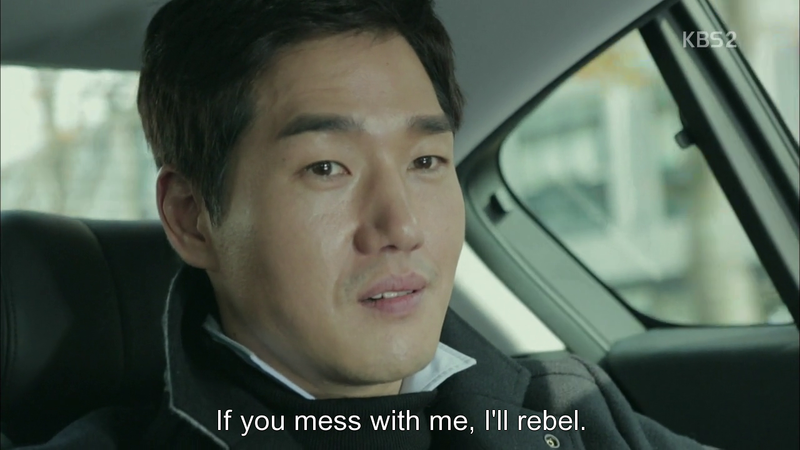 KMH is without a doubt the most interesting character so far. He’s admirable in that he uses the family name’s clout to perform good as opposed to play the usual world-weary chaebol. He’s as cheeky as hell with his superiors, and clearly doesn’t give a damn as to what the station thinks, as even they don’t have the power to oust him. But something dangerous simmers beneath all of that, which appears in bits and pieces whenever his brother shows up. There’s honestly hatred in his eyes whenever he looks at him, which goes both ways seeing how brother dearest clearly dislikes him, regardless of what word games they play. 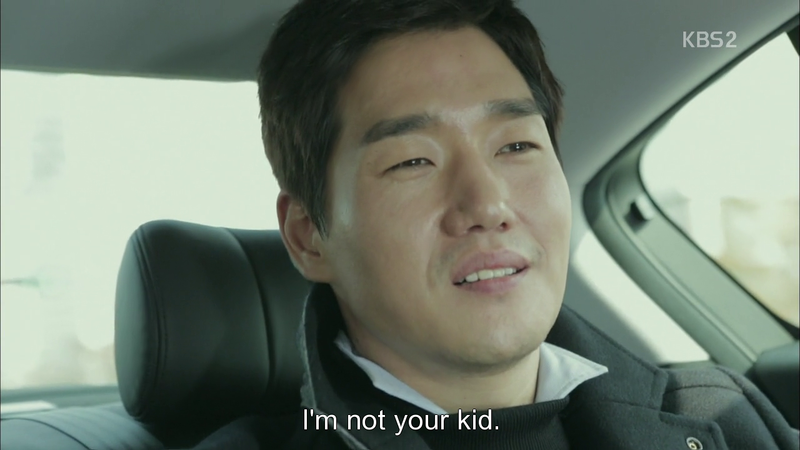 I enjoy how KMH does play the game, but nevertheless manages to convey his animosity. The fellow’s too honest for his own good though. Evil Brother remains as ambiguous as ever in terms of personality and motivations. 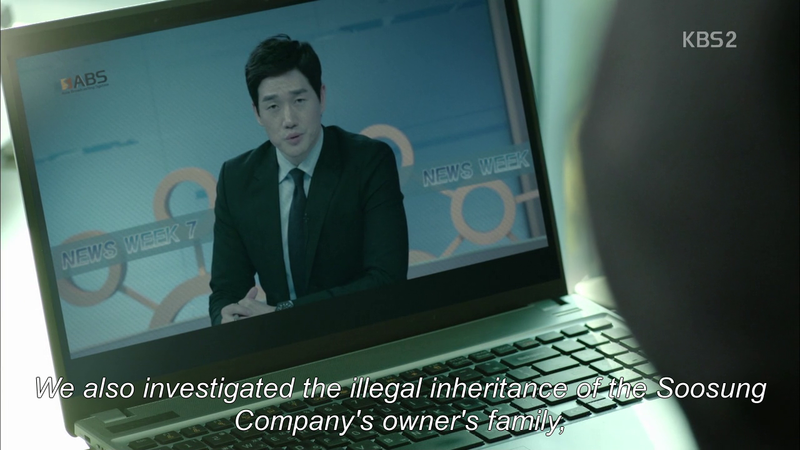 It’s a given that he’s working against his brother, and possibly seeks to bring down his brother, but we still have no idea s to what he’s really like and how it is that he managed to marry Myung Hee. I honestly suspect something pretty nasty, done on his part. The resentment in his eyes all those years ago in that hospital was no joke *shivers* and now that he’s hired SS Guard as his own possé, things are about to get pretty dangerous for KMH and most likely Healer. I love Healer, I really do. I wish I knew his real name, but I’ll settle for Healer for now. We thankfully learn a great deal about him, this episode, which is great seeing how he was the least explored (even if most featured) character the past two episodes. 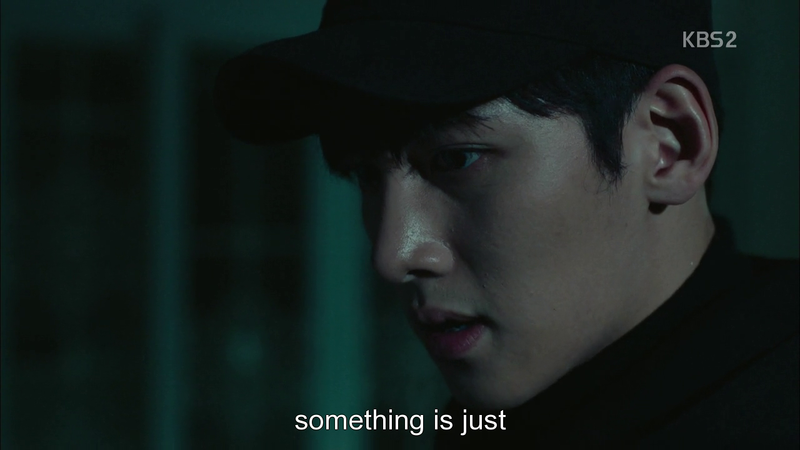 There’s definitely an enormous amount of apathy within him, fuelled by an event that appears to be strongly linked to whatever lies in KMH, CYS, Evil Brother and Myung Hee’s past. Judging by Healer’s reaction to that photo, we have a great deal of intertwined backstory coming up, as well as a lessening of that disregard for the workings of the world. 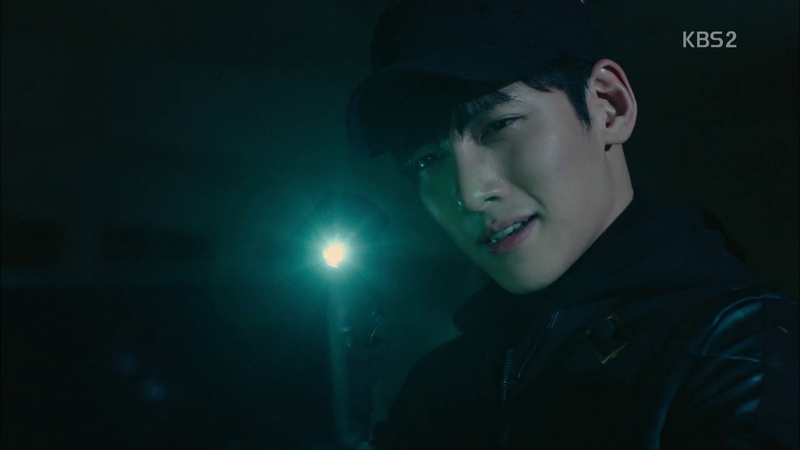 I love Healer’s intelligence, and the way his mind just automatically connected the dots, and figured that someone on Jae Il Media’s side wanted him dead. 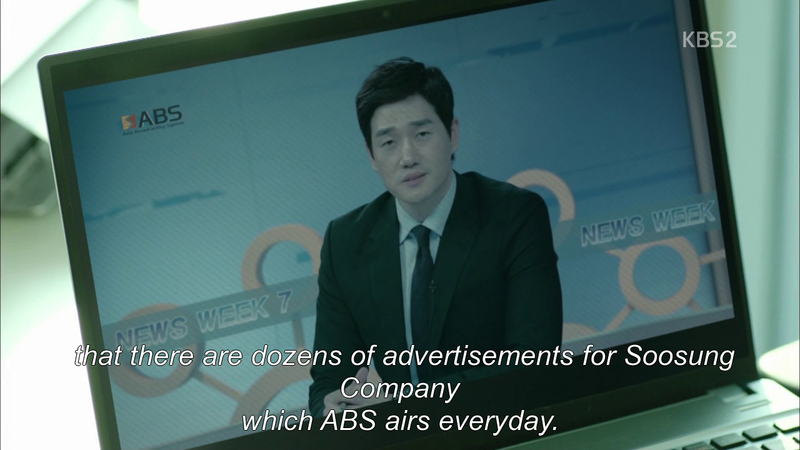 Hacker Ahjumma remains as perfect as always, hitting the wry counterpoint to the scene, dead center. I love these characters so much already. 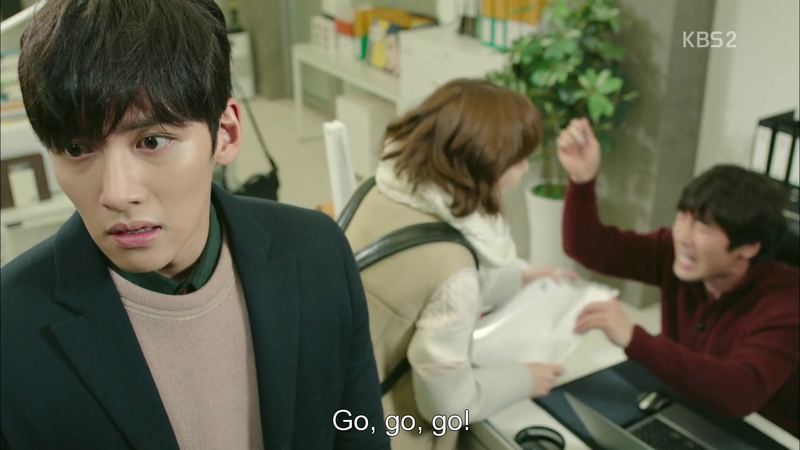 Things should get fun when Healer realizes that KMH’s the client. I wasn’t expecting YS to factor into this so soon, even as bait, but I’m really glad that she does, seeing what great moments of hilarity it makes for (dancing at the window, anyone?) as well as the lengths he goes to make sure he can have an eye on her. 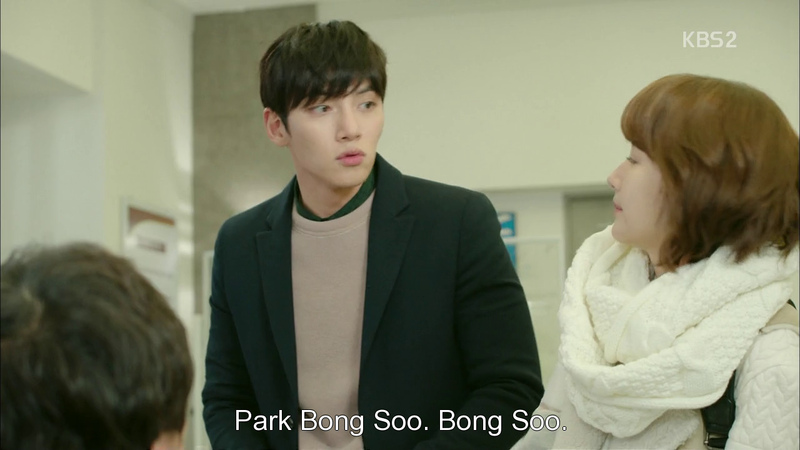 Hello there, Park Bong Soo. It is ridiculously apt that his initials are BS. The fake stutter and show of nerves only make him rise higher in my estimation and in my list of favourite male leads (with HWJ at the very top!) 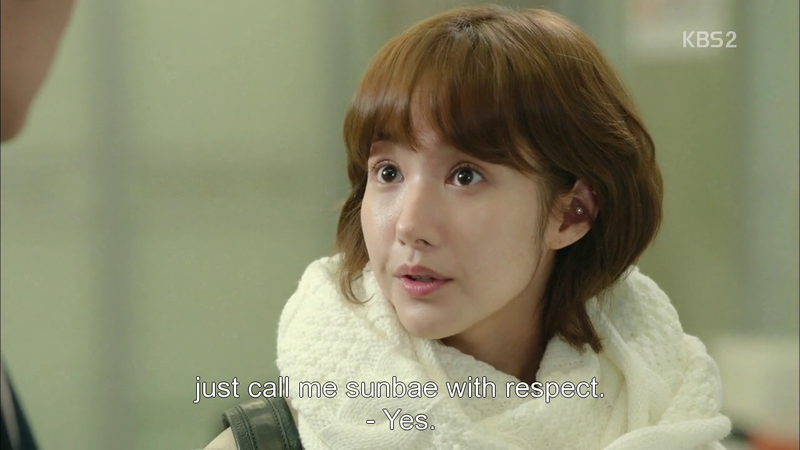 But hey, we’re getting workplace hijinks already (how cute is it that he has to call her sunbae) so I’m a happy camper. 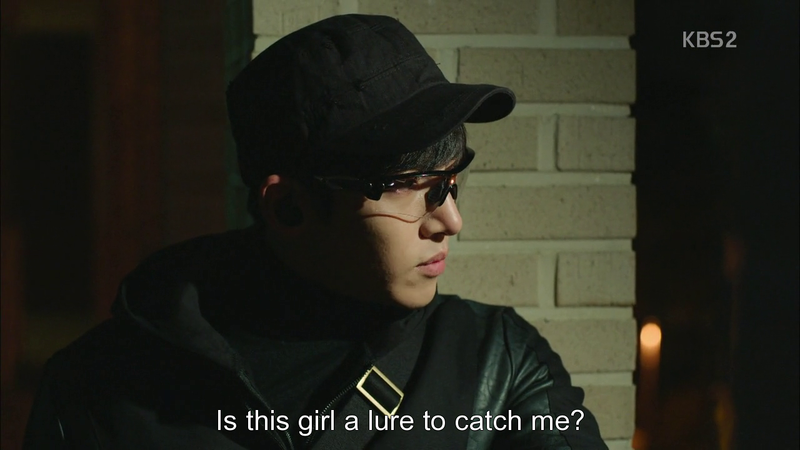 KMH playing stalker is a given at this point seeing how laden he is with guilt (tell me why, show, tell me why!) and results in this episode rounding off just as nicely as the previous one, one our three leads together (this in proximity-wise). 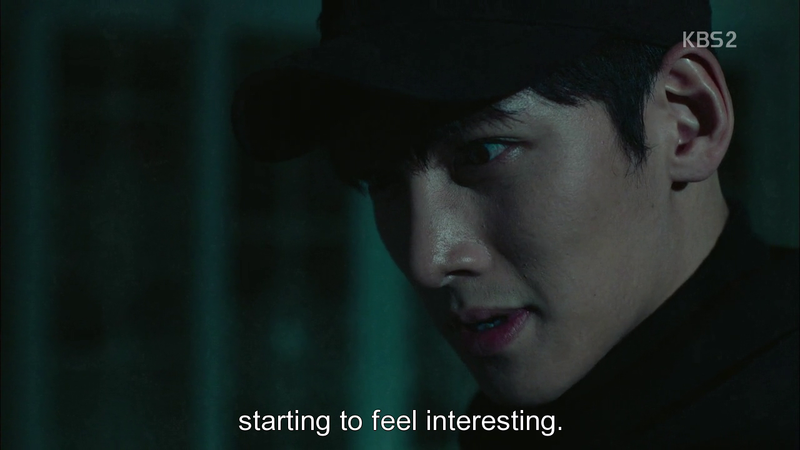 It’s amazing to see just how far YS, Healer and KMH have come into these three episodes, from individuals with very, very disconnected present lives (at least on the surface) to them now being a pieces on the same grand chessboard. This show just hits all the right tones in every setting it creates, from the really gentle music that played during that bit of roof-top running (gorgeous! I never imagined that the juxtaposition would be this good, I was honestly expecting dramatic blaring fare, not this bit of subtlety) to the tension, to the game of minds that has just begun. 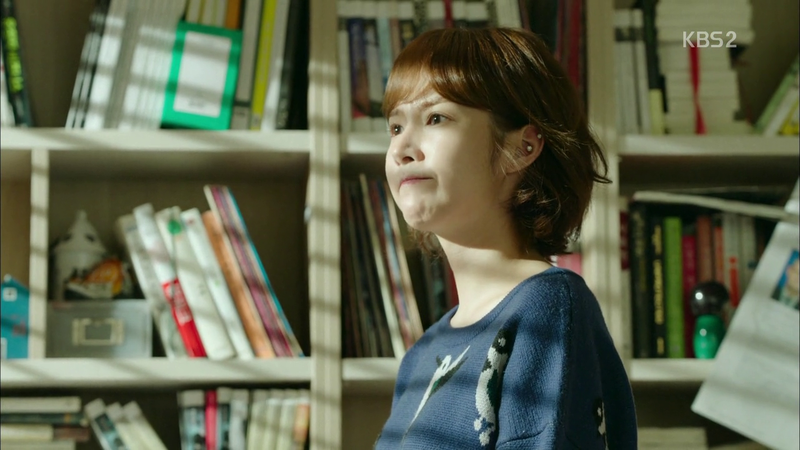 Screenwriter Song Ji Na was quite good with the political machinations back in Faith (even if I did wish there was more time spent on our OTP) so I’m not really worried about that quarter being well dome but I do hope that it isn’t going to constitute the backbone of each episode. The currently Pride and Prejudice aka. Lawless World is driving me up the wall with its ridiculous convoluted legal scenarios day after day after day (and why the hell are you throwing away such a good pairing for goodness sake?) 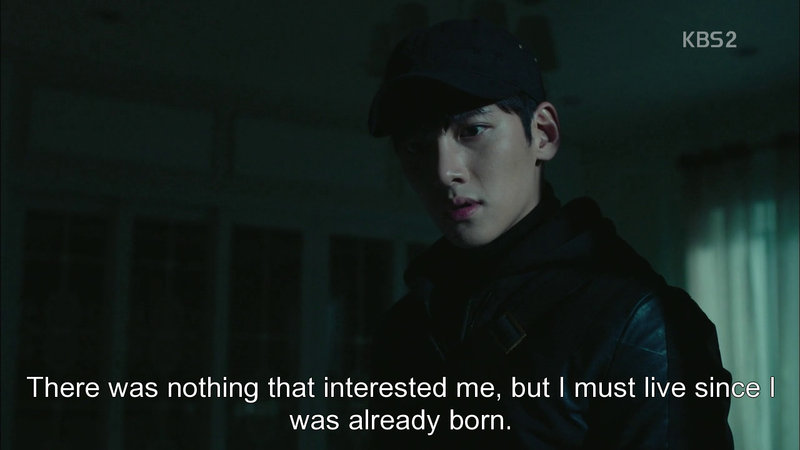 and it too was a drama that started out very, very promisingly, so once again I can’t help but get worried when a drama like Healer comes along. It’s so good, you want it to keep being good, but at the same time you know that it could go horribly wrong and that there’s a higher chance of it doing so. Stay gold, Healer/ Bong Soo-yah! I honestly can’t wait to marathon episodes 4,5 and 6 in a few minutes!